Why Did My Automotive SEO Rankings Drop? One of the most discouraging aspects of automotive SEO is logging into Google analytics and seeing that your rankings have actually dropped, despite all of the work that you have put into making sure that strategy is as functional as possible. 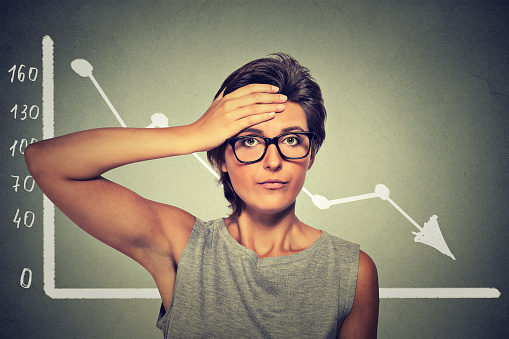 There are lots of reasons that your rankings might drop. Not all of them even mean that your strategy is failing. In fact, sometimes, losing a few rankings is a good thing. What are some of the reasons that your rankings are likely to drop and what can you do about it? 1. You do not have enough internal links. You can get pretty far in automotive SEO without linking between your webpages or from your blog to your website, but at some point, you are going to hit a wall and the search engines are going to start to notice that you have not linked internally on your website. Why do they care about internal links? Because this helps visitors get around your website, leading them from one relevant webpage to another relevant webpage, making information easier to find. If you haven’t invested time in internal linking, now is the time to start, especially if you have seen a drop in your rankings. 2. Your website is slow. Even though your dealership likely serves a very specific locality, your website might be bigger than some international companies, depending on what information you include and whether or not you list all of the new and used vehicles on your lot on that website. Having a large website means that there are lots of possibilities that this website might be slow. The speed at which your site loads is actually extremely important to search engine optimization. A slow website means that people are going to click away, which is a signal to search engines that your website is not valuable. Use a tool that checks your load speed and make the fixes it recommends. 3. You aren’t building external links anymore. You might have built a few backlinks when you first started your SEO strategy, but once it started to work, you stopped building them, believing that they would continue to boost your rankings. The truth is, however, that if you are not actively building backlinks, your backlink profile is going to be decaying. You need to be continually building better, more relevant, higher quality backlinks if you want to continue to attract attention to your dealership’s website. The last thing you want to do is become complacent. When you become complacent, your website doesn’t stagnate, it begins to lose ground. 4. You haven’t updated your content in a while. Search engines will always seeing newer content as more relevant and valuable than older content. Even content that is technically evergreen can start to lose its luster in the eyes of the search engines over time. If it has been more than a year since you have gone through and updated your content, it is time to do exactly that. This is one of the leading causes of ranking drops. Especially because content trends do change, and what would have kept someone on your page a year ago might not keep them on your page now. If you haven’t taken the time to give your content and its format a once over to make sure it is still relevant and you’ve seen a drop in rankings, now is the time. 5. You have a poor click through rate. Google cares about how effective your ad in their search listings is. They are not going to waste space on a link that does not get any clicks, not when there are so many websites vying for those same slots. The link and description are the first impression that you make on a potential customer. Are they making the impression that you want to make? Are they actually encouraging people to click? Is there information there that would make someone want to click on your dealership’s website, over the website for the dealership in the next town over? You need to optimize your meta description and title tag to get a more effective link and a higher click through rate. 6. Your website’s design isn’t working. Don’t get too attached to the design of your website. Just like any visual medium, websites go through trends. What was considered modern three years ago is going to look outdated now. And because mobile devices are becoming more and more popular and may soon become the main source of traffic to your website, you need to have a design that is as functional and beautiful on mobile devices as it is on desktops and laptops. Your visitors need to always have a high quality browsing experience, no matter what device they are using to access your dealership’s website. If your current website is not working, it is time for a new one. 7. You are not optimizing your social media accounts. How active you are on social media, how well outfitted your profiles are, and how often you link back to your website is going to have a huge effect on your search engine results rankings. You can improve your rankings by increasing the number of times that your content is shared on social media. That, of course, means that you have to write informative, valuable content that is worth sharing. Websites that do not properly utilize their social media connections are websites that might initially have great rankings, but will start to see them slip over time.